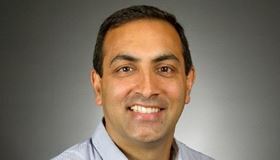 The recipient of the 2018 Acta Materialia Silver Medal is Nikhilesh Chawla, the Director for the Center for 4D Materials Science and Fulton Professor of Materials Science and Engineering (MSE) at Arizona State University. Prof. Chawla received his Ph.D. in Materials Science and Engineering from the University of Michigan in 1997. Prior to joining Arizona State University in 2000 he was a postdoctoral fellow jointly at Ford Motor Company and the University of Michigan, and a senior development engineer at Hoeganaes Corporation. He served as acting chair of the MSE program at ASU in 2010. Prof. Chawla’s research interests encompass the deformation behavior of advanced materials at bulk and small length scales, including Four Dimensional (4D) materials science, environmentally-benign metallic alloys, composite materials, and nanolaminates. He has published widely and his research is highly cited. He is the author of the textbook Metal Matrix Composites (co-authored with K.K. Chawla), published by Springer. The 2nd edition of this book was published in 2013. Prof. Chawla is a Fellow of ASM International and past member of The Minerals, Metals, and Materials Society (TMS) Board of Directors. He is the recipient of the New Mexico Tech Distinguished Alumnus Award for 2016. In addition, he was named 2016 Structural Materials Division Distinguished Scientist/Engineering Award, as well as the 2016 Functional Materials Division Distinguished Scientist/Engineering Award, both from TMS; 2013 Brimacombe Medalist Award from TMS; 2011 Distinguished Lectureship given by Tsinghua University, China; 2004 Bradley Stoughton Award for Young Teachers, given by ASM International; and the 2006 TMS Young Leaders Tutorial Lecture. He also received the National Science Foundation Early Career Development Award and the Office of Naval Research Young Investigator Award. Prof. Chawla is editor of Materials Science and Engineering A published by Elsevier (2016 Impact Factor of 3.1). He also serves on the Editorial Boards of Advanced Engineering Materials, Materials Characterization, and Materials Chemistry and Physics. He has served or is serving on several external advisory boards, including that of Naval Research Laboratory, the Advanced Photon Source at Argonne National Laboratory, and New Mexico Tech. His work has been featured on the show Modern Marvels on the History Channel, R&D News, Fox News, and the Arizona Republic. He serves on ASU President Michael Crow’s Academic Council, which provides input to the president on academic, structural, and strategic matters. Professor Chawla will present an overview of his research at the Acta Awards Symposium and receive the Silver Medal at the Awards Ceremony during the TMS Annual Meeting in Phoenix, AZ in March 2018. You're invited to attend the Acta Materialia Gold and Silver Award Ceremony!